One of the most common questions I get from advertisers is regarding the number of conversions that Facebook reports. They feel that the number is either inflated or underreported. In some cases, there’s something technically wrong that is creating the disparity. In others, there’s nothing wrong at all, but there’s a misunderstanding regarding how the reports should be interpreted. 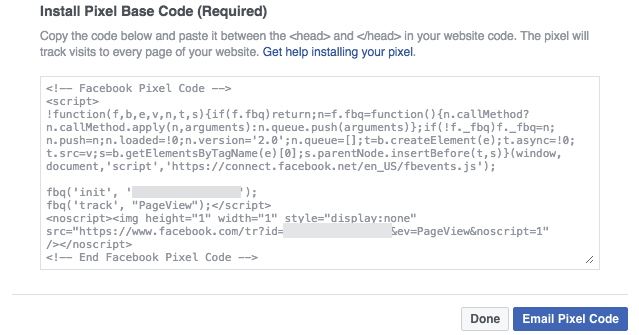 The first thing you should check is whether the Facebook pixel is on the conversion page and between the head tags. It’s possible the pixel isn’t on the correct page (it really should be on every page). And maybe the Custom Conversion or Standard Event created was for the wrong page (it should be on the page that when it’s viewed, you know a conversion is complete). Maybe the pixel is on the right page, but maybe it simply isn’t loading — at all or consistently. That could be due to poor hosting or coding of the site. If it takes too long to load, Facebook won’t get notified when the conversion is complete. To check if there are any issues with the pixel on a particular page, install the Pixel Helper Chrome plugin. It also helps to have something of value on that conversion page to keep the customer there long enough to assure the pixel fires. It really shouldn’t take much longer than three seconds, but it helps if the user doesn’t immediately abandon the page. The numbers may be inflated if the pixel loads too often. This wouldn’t be Facebook’s fault, but instead how you determine a conversion. Consider the following scenario: After a customer completes a purchase, they are immediately redirected to the members area home page. Not to a thank you page. As a result, you create a Custom Conversion telling Facebook that when someone visits the members area home page, a conversion has been completed. Since it’s a page that users will visit repeatedly, Facebook will report a conversion each time that page loads. Or it could be as simple as having information on the thank you page that the customer will need later. They bookmark it. Or your welcome or purchase confirmation email sends the new customer back to that thank you page again. 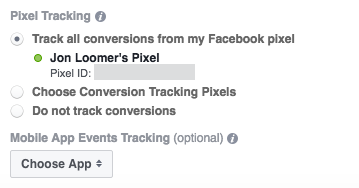 Again, Facebook only knows how many conversions are generated because you are able to define the action taken when a conversion happens. 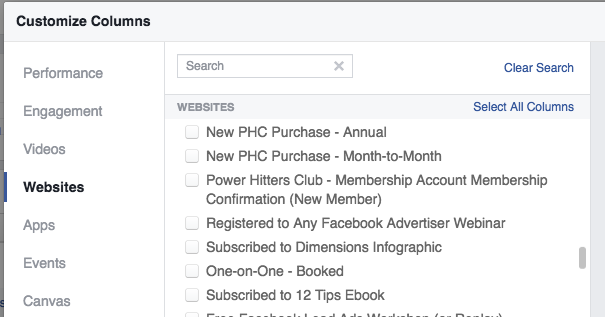 If users repeat that action, Facebook assumes they are making multiple conversions. When you create your ad set, you may tell Facebook to optimize for a very specific conversion — like the purchase of one product. But that doesn’t mean that Facebook will only report those conversions. You undoubtedly have created multiple Standard Events or Custom Conversions. You have other products, an email newsletter and multiple opt-in opportunities. When your ad is shown, people see and click on it. Some of those people buy the product you are selling in the ad. Some of them perform a different conversion. Some perform multiple conversions. Facebook reports all of these conversions, not just the conversion you are advertising for. Select “Websites” on the left. Then check all of the Custom Conversions you’ve created. You could check the Standard Events, too, but those won’t be specific conversions (only conversion types like purchase or registration). You could also select old conversion pixels, but those are going away soon (if they haven’t yet by the time you read this). 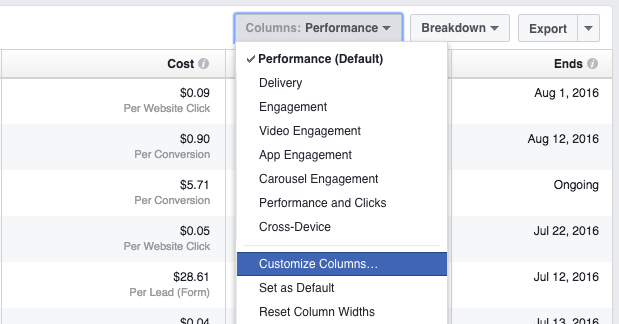 When you check these Custom Conversions, Facebook will create individual columns for each conversion. This way, you’ll get a clearer idea of how the total number of conversions breaks down. I’ll often hear from advertisers claiming that Facebook’s reporting is wrong because Google reports something different. They’ve even added UTM tags to their links, “proving” that Facebook is inflating their numbers. There’s a big problem with this assumption: Facebook and Google report conversions differently. How can that be, right? A conversion is a conversion is a conversion. 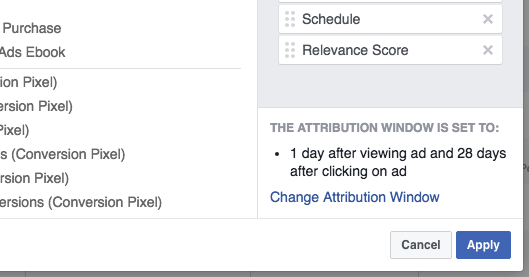 But it’s all about attribution: When Facebook thinks the ad gets credit for a conversion. Do you see the potential for different calculations now? Someone could click your ad, visit the landing page but not convert at that moment. They may come back days later before making the purchase. While Facebook would say the conversion came as a result of your ad, Google would not report the conversion as coming from Facebook. Additionally, someone could view your ad without even clicking it, eventually go to your site within one day and make the purchase. Facebook would say the ad contributed while Google would see no direct path from Facebook. We can debate whether someone who clicks and ad and then converts within 28 days is a conversion. Certainly, the contribution of the ad probably decreases as days go on, but the likelihood of a conversion will decrease with each passing day as well. And certainly, I understand that a view through conversion — one where the user never clicks the ad but eventually converts within a day — may seem like a stretch. Facebook is saying that the ad contributed, even if it wasn’t clicked. And while a view isn’t as valuable as a click, I tend to agree. Overall, though, expect the vast majority of your conversions to happen within one day of a click. You’ll get others as well. And that will depend somewhat on the audience and other ways you communicate with them. For example, maybe you email the same audience that you are reaching with your ad. 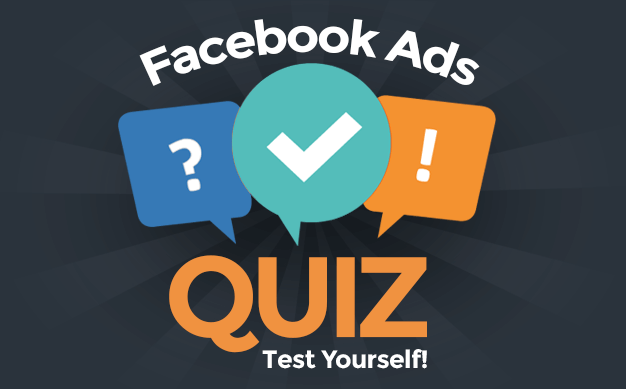 Your Facebook ad can make your email more effective and vice versa. 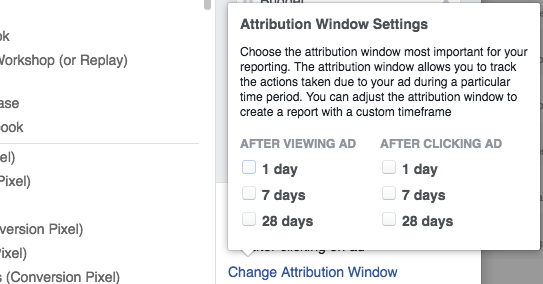 Anyway, Facebook’s attribution window is the cause of much of this confusion, but you can actually get a detailed look at how the conversions break down by views, clicks and duration. At the bottom right, notice the message about the attribution window. You can now add columns in your report to see how many conversions happened after a view or click (within 1, 7 or 28 days). When viewing this data, understand that there will be duplication of reporting when you check to view multiple durations. Someone who converted within one day of clicking your ad will also be counted as someone who converted within seven days of clicking. You’ll need to do the math to separate that out. Are there any other explanations for why your conversion numbers may be off or aren’t what you think they are?